Home � Art Of Disney World , Commercial , Disney World Commercial , Giants , Patriots , Super Bowl , Super Bowl XLVI , Superbowl � Which Super Bowl Star Will Be "Going To Disney World"? Which Super Bowl Star Will Be "Going To Disney World"? Disney has created a classic series of Super Bowl Commercials that dates back to 1987 when Phil Simms of the New York Giants become the first to utter those magical words: "I'm Going To Disney World!" Amongst all of the Super Bowl XLVI commotion is the excitement over the commercials and the obvious question as to who will be the next star of the Disney World Commercial. Phil Simms was the star of Super Bowl XXI and became the first in a long line of Super Bowl Champions and other champions to be recognized as "Going To Disney World!" to celebrate their victory. Tom Brady Or Eli Manning - Who Will It Be? The odds on favorite to be anointed to utter the phrase will be one of the star quarterbacks representing the Giants and the Patriots. Remarkably enough both Eli Manning for the New York Giants and Tom Brady for the New England Patriots have each already starred in a post Super Bowl Disney World Commercial. 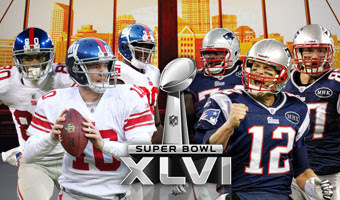 Who will star in the commercial for Super Bowl XLVI? Leave your comment in support of your team! 0 comments to "Which Super Bowl Star Will Be "Going To Disney World"?"